Beaded crochet purse patterns combine basic crochet skills with beading to create glitzy accessories. The purse may be crocheted with yarn or thread - or occasionally even an alternative material like wire. 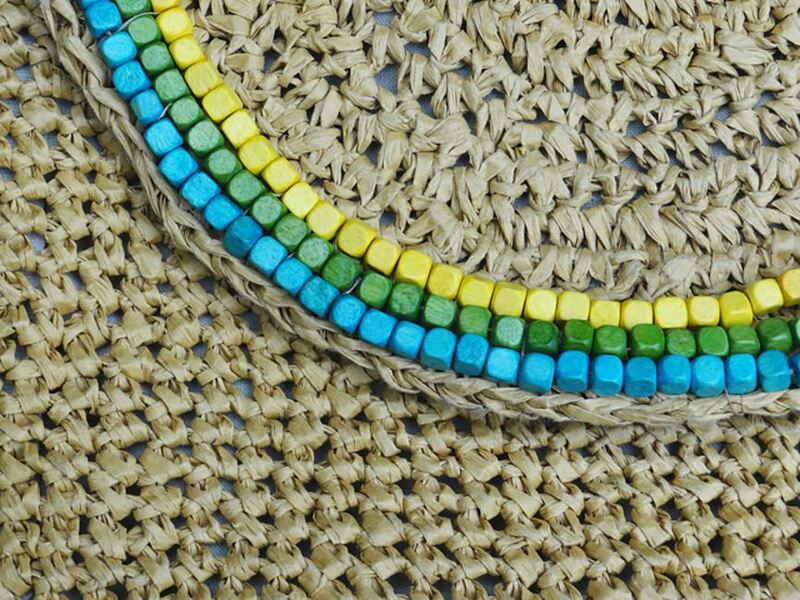 The beads may be incorporated all throughout the purse or added just as a fringe detail. There are many different styles to try, and it can be really fun to add bead crochet to your skill set. 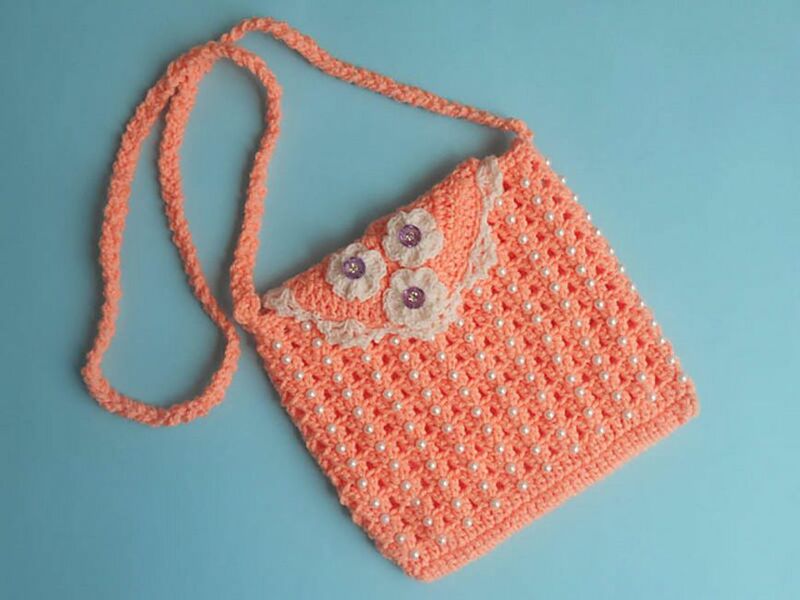 You can learn how to crochet a bag with beads using any of these top free patterns. In true bead crochet, the beads are added on to the yarn as you crochet the stitches. However, that's not the only option for adding beads to a crochet bag. An alternative, as evidenced by this pattern, is to crochet the whole purse first then hand sew on the beads after. This purse pattern uses simple stitches with strategic placement designed to make spaces for the symmetrically-placed beads. The free pattern also includes video instructions for adding a liner to this purse. This beginner crochet drawstring pouch is a great project for learning bead crochet. The pouch is made with single crochet and double crochet stitches. You begin by stringing twenty pony beads onto your yarn, working them into the crochet as you go. There is a link to the basics of bead crochet included with this free pattern. This pretty bead crochet bag is designed with not only a drawstring but also a wristlet loop. The pattern is written for different sizes, including child and adult. It works as a bridal purse but can also make a great gift bag. One fun way to use beads to enhance a crochet design is to place them at the center of your crochet flowers. That was done here in this cotton crochet bridal purse pattern. This summer shoulder bag is surprisingly simple to create, but it has many great details that make it a special purse. The basic design is two solid crochet squares that are stitched together with lining inside. Fringe is added at the bottom of the purse, and that fringe is topped off with wooden beads. This is a classic boho crochet pattern. Celebrate summer with the strawberry crochet purse. Beads are used to add pizzazz as seeds within the strawberries and also to bring in additional color around other areas of the purse. The designer used three colors of glass beads as well as an additional set of wooden beads for this bag. It only takes a few beads to elevate a simple crochet purse design. This nautical-inspired bag is crocheted in lightweight red, white and blue cotton. Red and white beads are added for effect. This design would also work for a patriotic holiday such as the Fourth of July. This is a very basic single crochet coin purse that packs a lot of punch thanks to the colorful pony beads added to the design. This one uses about five dozen beads on the small bag so they're definitely a critical part of the design. Lining is optional on this purse that closes with a zipper. Raffia is a unique material for crochet and one that works really well to create a lightweight summer purse. Beads are added here to give colorful stripes to the flap of the bag. This crochet pattern is from the March/April 2017 edition of PieceWork magazine, so you'll have to purchase the entire issue if you want the pattern. It is well worth it, though. The placement of the small seed beads creates a polished design, made more elegant by the fact that the bag itself is crocheted using silk thread. Inspired by a nineteenth-century design, this crochet bag is great for costumes but can also be used for any night on the town.